Bingham Lumber and Lake and Mountain Home are proud to present our new line of wood wall paneling at Barnwood Interiors! Featuring reclaimed and classic hardwoods and softwoods, unique and inspiring finishes, simple DIY Peel-and-Stick application. Check out our Coastal Collection, with beach and east coast inspired finishes. Our Metropolitan Collection, derived from the streets of downtown Boston, MA. The Authentic Collection, featuring true, 100% reclaimed and recycled woods with a variety of colors and unique textures. . The Heartland Collection – with true Americana colors and rustic textures, inspired by America’s Heartland. 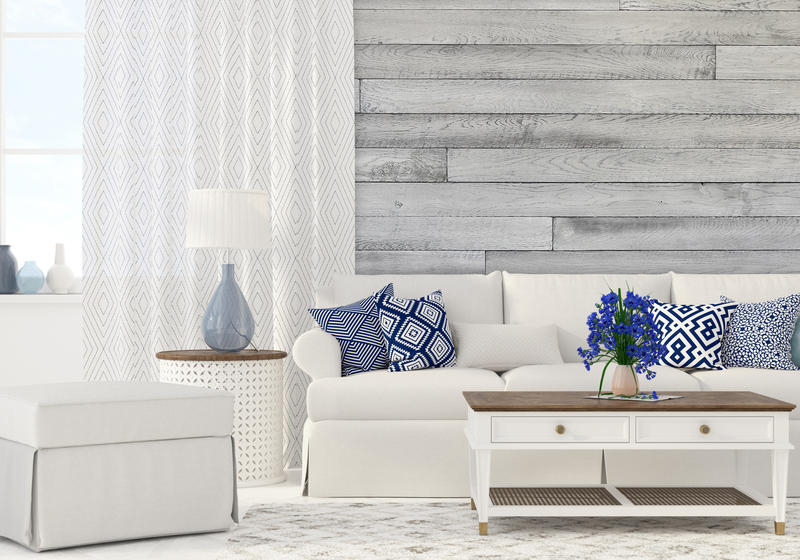 Or Mix-and-Match to create your own one-of-a-kind feature wall. Come on over to our website http://www.barnwoodinteriors.com or check out our Facebook Shop to see all of our exciting colors and textures!